Erdschwalbe Paleo Bread. Reduced carbohydrate content. Baking mix 300g-bag. Organic - EG-Öko-cert. 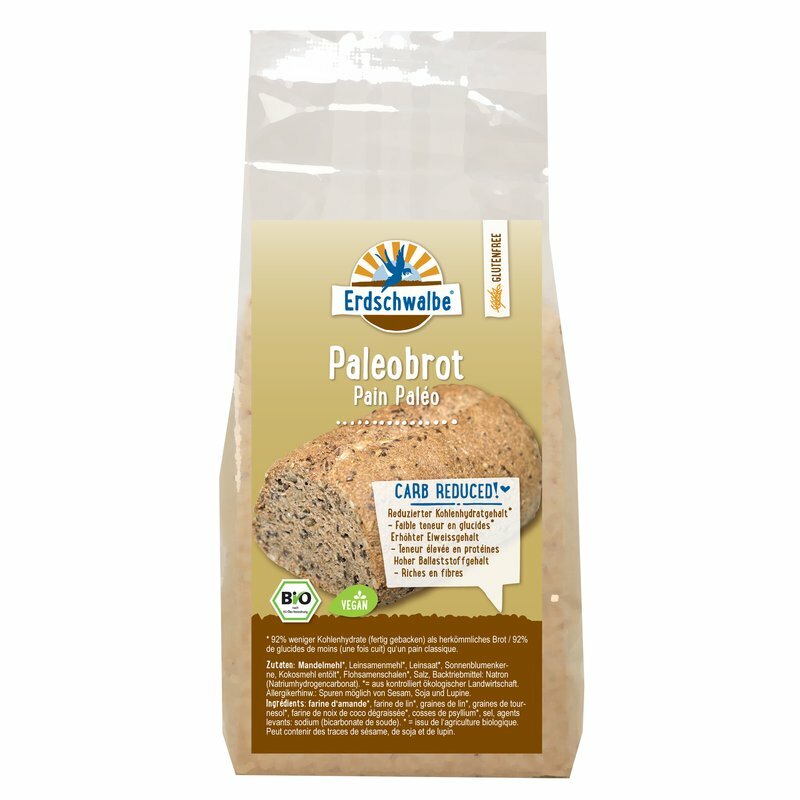 Erdschwalbe Paleo Bread 300g bag - Organic bread mix. 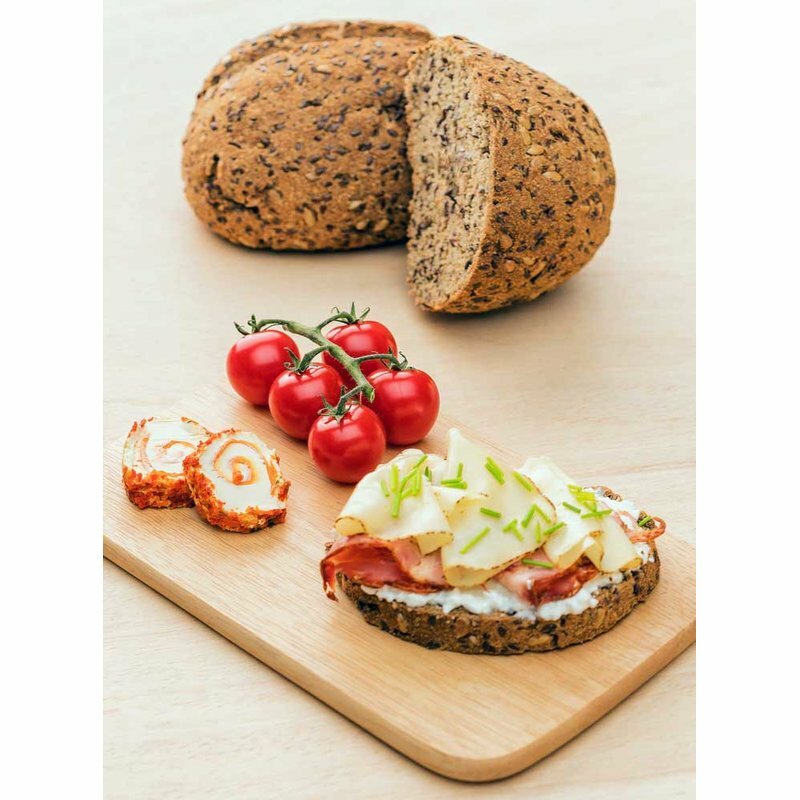 Reduced carbohydrate content - 92% less carbohydrates (ready baked) than conventional bread. Increased protein content. High fiber content. Free of gluten, yeast, egg and lactose. Ingredients: Almond flour*, Flaxseed flour*, Flaxseed*, Sunflower seed*, Coconut flour deoiled*, Psyllium husk*, Salt, sodium bicarbonate*. *= from certified organic agriculture. Note for allergy sensitive people: may contain traces of sesame, soy and lupin. 70ml of apple vinegar, 200ml of cold water. Knead the bread mix with the water and the vinegar in a bowl for 2 minutes using an electric mixer (kneading hook attachment). 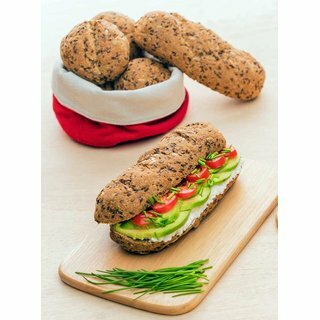 With wet hands, shape the dough into a loaf or stick. Place the dough on a baking tray covered with baking paper. 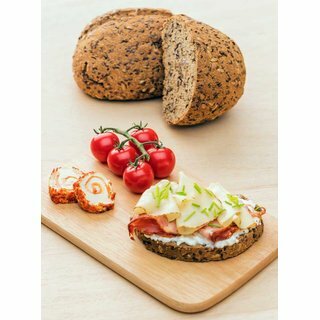 Using a knife, cut 5mm deep lengthwise into the loaf, then immediately bake in a preheated oven at 200°C for 55 minutes. Alternatively form 5 to 6 roles and bake at 200°C for 30 minutes.